"You are within a restored Victorian industrial building - a former railway transit shed, built in 1850. To Londoners this is a warehouse, but to Bombayites, it would be a Godown. Vast quantities of goods once flowed through this foremost interchange between rail, road and canal. Goods were unloaded onto the platform, and the draft horses that worked the canals and turntables were stabled beneath. For over 100 years this building passed goods to and fro between Britain and its Empire, and between London and Bombay". Forget the British Empire, and make way for the Dishoom Empire. After great success in Covent Garden and Shoreditch, an enormous new Dishoom Bombay Café has appeared in King's Cross, making the most of a fantastic space round the corner from Grain Store. 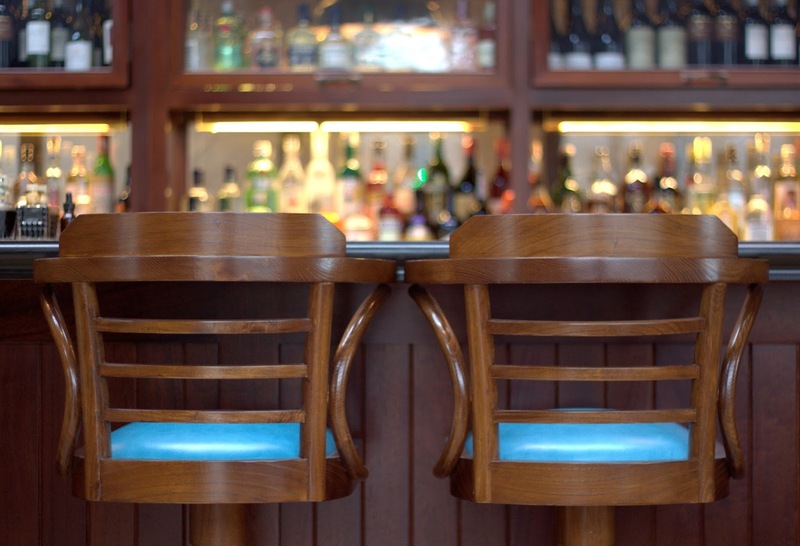 "The original Bombay cafés have almost disappeared. Opened early last century by Zoroastrian immigrants from Iran, their faded elegance welcomed all: rich businessmen, sweaty taxi-wallas and courting couples. Fans turned slowly. Bentwood chairs were reflected in stained mirrors, next to sepia family portraits. Students had breakfast. Families dined. Lawyers read briefs. Writers found their characters." Leyla (The Cutlery Chronicles) and I went along for an indulgent Monday lunch during the soft launch. The grand dining room is slightly tucked away, so we instead settled in the well-lit café area at the front, with great views of the bar and their on-site sugarcane juicery. After pressing the canes, they serve the juice with lime and salt (and rum if you need a kick!) for £4 (or £8). 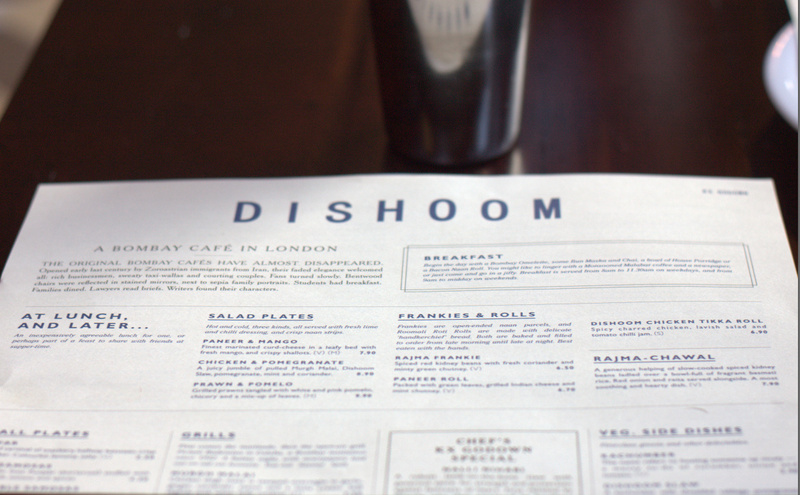 Soft drinks are well represented at Dishoom with Lassis, Floats & Sodas galore on the menu. - Pau Bhaji - mashed vegetables with a pau bun, "Chowpatty Beach style"
- Okra Fries - self explanatory! The Keema Pau was the standout dish of the whole meal, and pretty generous for £5.20. 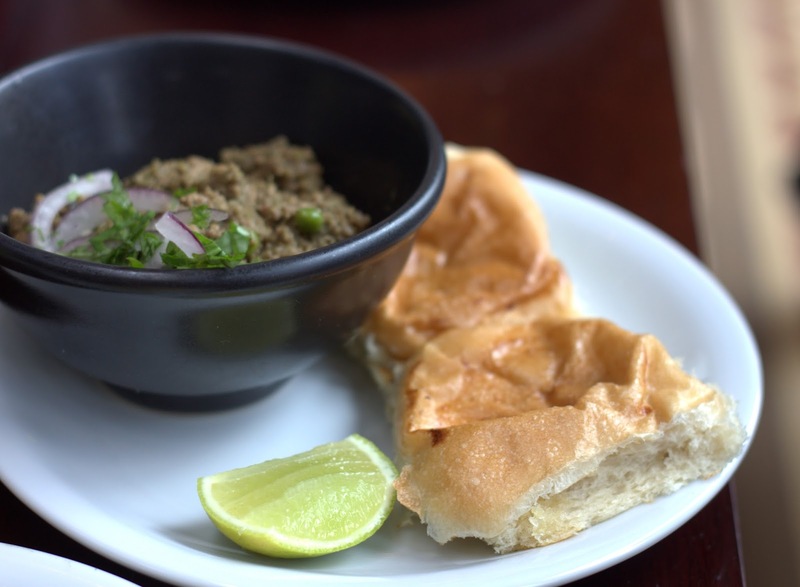 Dishoom wisely keep the prices low for dishes that don't cost them a great deal to create, and then bump up the fancier plates. Pau Bhaji was a little underwhelming, but the beautiful Bhel and moreish Okra Fries made up for it. - Lamb Boti Kabab - marinated with red chilli, garlic and ginger, "Bademiya-style classic"
- House Black Daal - "simmered over 24 hours for extra harmony"
- Roomali Roti - "soft bread, thrown, stretched and griddled to order on an upturned tawa"
We stuck to the grills at lunch alongside an essential bowl of Black Daal and some Roomali Roti which should be eaten swiftly before it loses its heat and structure. Both the Lamb Boti Kabab and the Paneer Tikka were enjoyable, but not to the extent that I would rush to order them again. There's plenty else to explore on the menu anyway. At this point we had a quick break for a Chaijito - Smoky rum, Dishoom sweet-spice chai syrup, muddled with fresh mint, coriander, ginger and lime. Other cocktails available at the main bar include the East India Gimlet (Gin, Lime Cordial, Celery Bitters) and the Bombay Colada (Pineapple, Coconut, Coriander, Chai Syrup, Lime, Rum). Beer fans might want to try the Dishoom IPA produced specially by London Fields Brewery. More of the core beers are available on request. But if you really want some serious booze, then you need to head downstairs to The Permit Room for bottle / cask aged cocktails, served by the peg. You can opt for Chota Peg (100ml) or Burra Peg (200ml) serves of various pre-made concoctions such as Sir Jeejeebhoy, Sonia's Negroni and Tanchoi Fix that all have a Dishoom twist along the way. 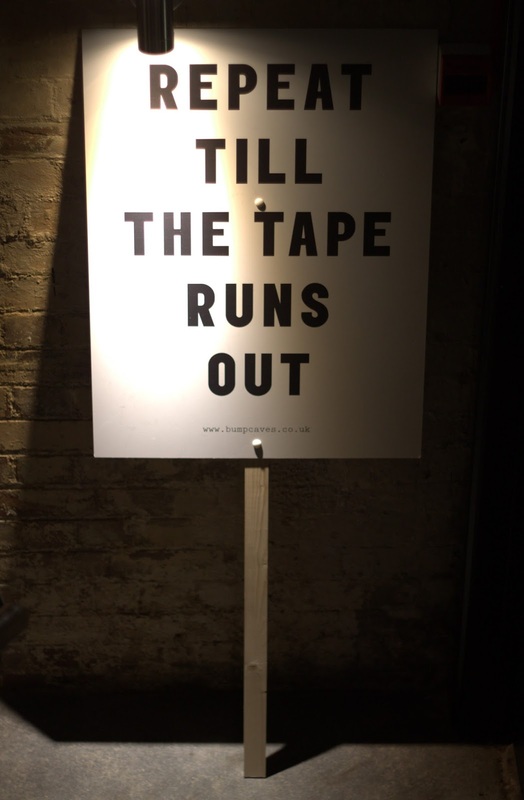 There are more standard Juleps, Smashes, Sours, Fizzes, Martinis to enjoy too in the stunning basement bar which hopefully will be a successful standalone venue. These were both outstanding and again excellent value for the quality and quantity. 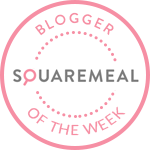 Memsahib's Mess also sounds fun, and there are plenty of Kulfis to choose from if you prefer. I enjoyed the House Chai, but Leyla was hoping for something a little thicker. You can indulge with Chocolate, Naughty Chocolate (Bourbon), or Baileys Chai twists, or restrain in style with Darjeeling & Assam tea or Monsooned Malabar Coffee. Whilst every dish didn't live up to high expectations, there was plenty to enjoy at Dishoom, and the King's Cross branch is a sight to behold. There's so much to explore with the sugar cane juicery, basement bar, chef's table, dining room and café that you may well end up spending the whole day there, and with Dishoom's pleasant pricing, you might leave with a bit of change in your pocket too! Friday 14th November - For something completely different, head to the Tower Bridge branch of Charlie McVeigh's hugely popular Draft House chain, and head down to the basement to find Bump Caves, a bonkers experimental bar. 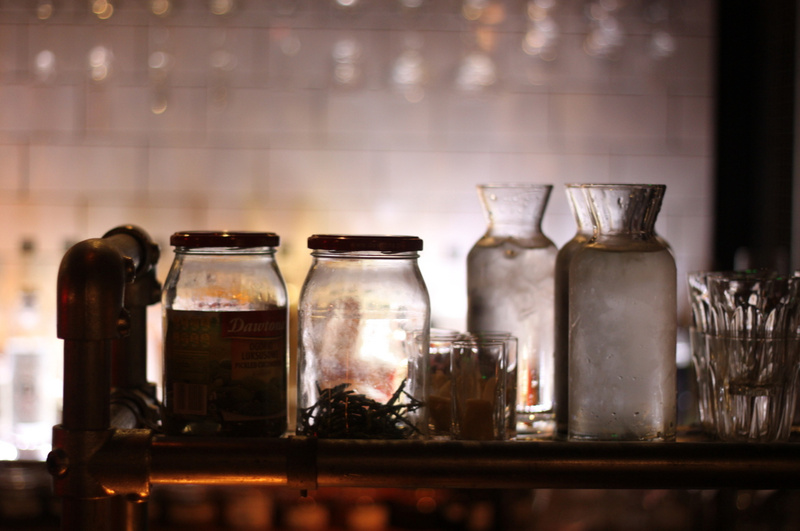 You will immediately spot the chemistry equipment in the corner, namely the Rotovap, made popular by Matt Whiley (Talented Mr Fox / Peg & Patriot) on the London bar scene last year. This clever piece of kit helps Max Chater & co. at Bump Caves create alcohol out of pretty much anything. If you want to skip the beer, you can go for a Bump with seasonal shrub & soda (£6.50). And if you want to skip the Bump, there are other bottled beers from the likes of Beavertown, Brewdog & Siren. Of course, you can always drop back upstairs for a beer if you want a wider selection, but you can't ferry drinks between the two or else it would just become an overflow bar for the Draft House. It's a great looking little bar, and it's preferable to the sweaty chaos of post-work bankers in need of a pint upstairs. In the absence of head honcho Max Chater who was probably off setting up The Birdcage, we were superbly looked after by Ben "The Boss" and his team. We set to work on the quirky cocktail list. First up was the Drenched Martini (Leek Vermouth, Bobby's Gin - £6) and the Bumped G&T (Bump #1 Hop Gin, Bump Tonic - £6), both refreshing, boozy and well-priced. The Leek Vermouth is at first quite unsettling, but it quickly grew on me. Their G&T is challenging and bitter, and not at all a boring thing to order. Two more I might order on a return visit are Chinese Double Smoke (Kamm & Sons, Vermouth, Ilegal Mezcal, Clove - £8) and Hon. Dashi (Victory Gin, SAKE Vermouth, Dashi Fortification - £8). Yep, you read correctly. 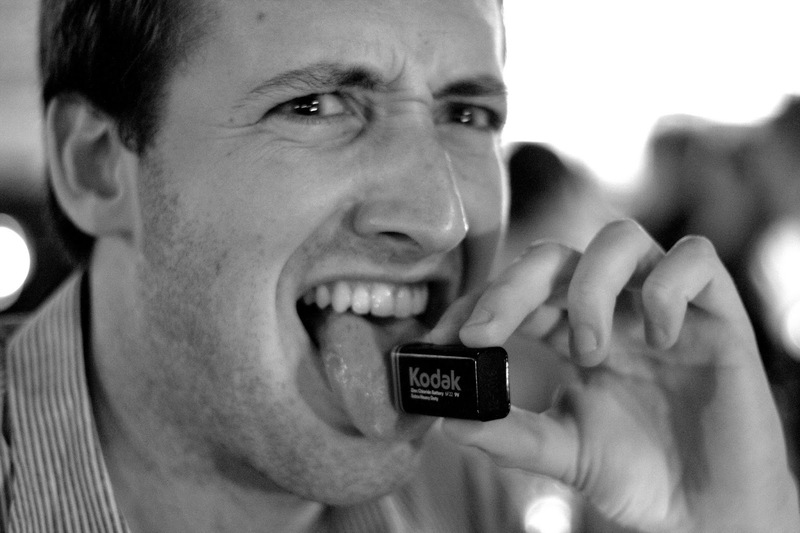 A 9V battery, and some acid. Don't try this at home, try this at Bump Caves. 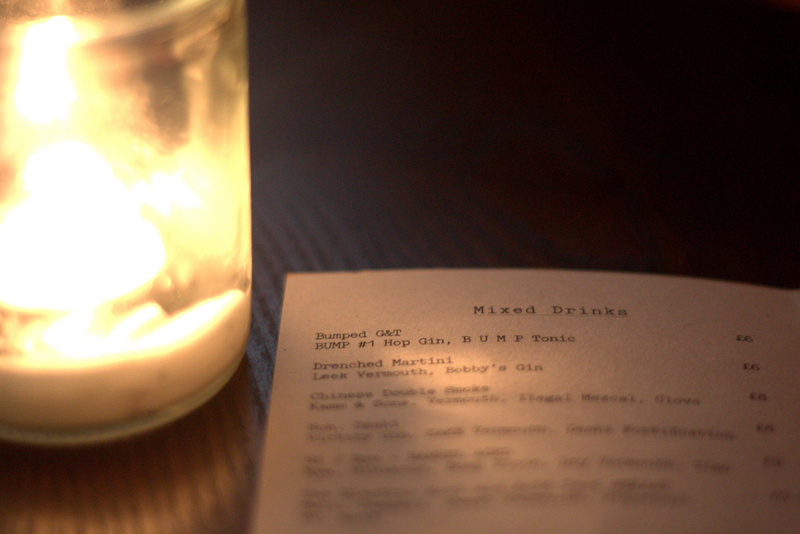 Bump Caves is a playful yet serious addition to the London bar scene, and SE residents are starting to be spoiled with the likes of Cecil's, Call Me Mr Lucky, 214 Bermondsey & Bermondsey Arts Club round the corner too. 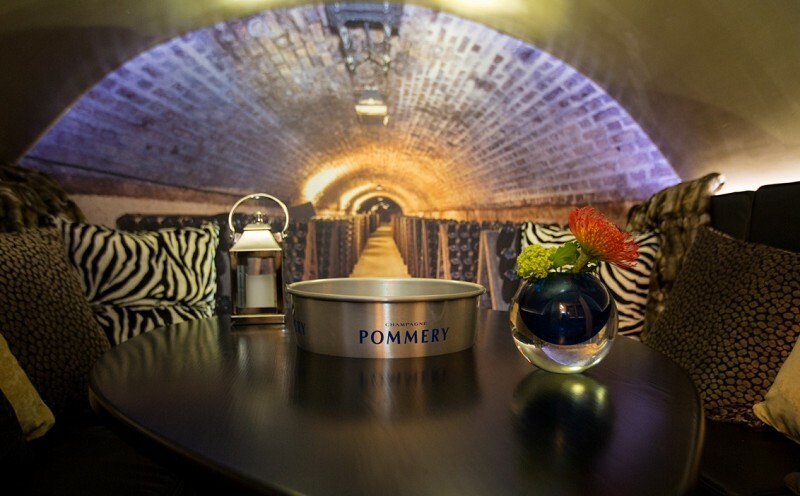 Give East London & Soho a night off and explore this fun set of bars. "Publican Charlie McVeigh, Founder of Draft House, has acquired the legendary Birdcage Public House on Columbia Road Flower Market and saved it from closure. The Birdcage, which served as a backdrop for many of the chilling happenings in the notorious Bodysnatchers trial of the 1830s, was on the brink of bankruptcy after a long period of decline. The pub will re-open as the sixth Draft House on the 30th November 2014, trading amongst its neighbours of galleries, antique shops and of course the strip’s famed flower market. Draft House Birdcage, as at all Draft Houses, will sell the finest craft beer known to humanity. They will have a colossal range of craft beer on draft and in bottle, celebrating local breweries and also buying in from their friends in the USA, Belgium, Germany and the Czech Republic. Optics cocktails will be served at Draft House Birdcage, created by Max Chater of Bump Caves – the radical new bar and distillery opened by Draft House earlier this year in Bermondsey. Optics cocktails, dispensed from traditional 3-litre pub optics bottles, will include the Manhattan, BUMP Martini and BUMP Hi-Bye (all at £5.90). Draft House will restore the Birdcage’s East End identity, with the Birdcage kitchen knocking out Pie Mash & Liquor to all comers. These wonderful Pies are hand-crafted and fully encased with short-crust pastry. Fillings include Steak & Ale, Steak & Kidney, Chicken Leek & Ham and Spinach, Sweet Potato & Goat’s Cheese (£6.90). .A caged display of their ever-changing selection of craft beer will be the backdrop for the bar, paired with neon signage and reclaimed industrial light fittings. Tuesday 11th November - It's TRUFFLE SEASON. 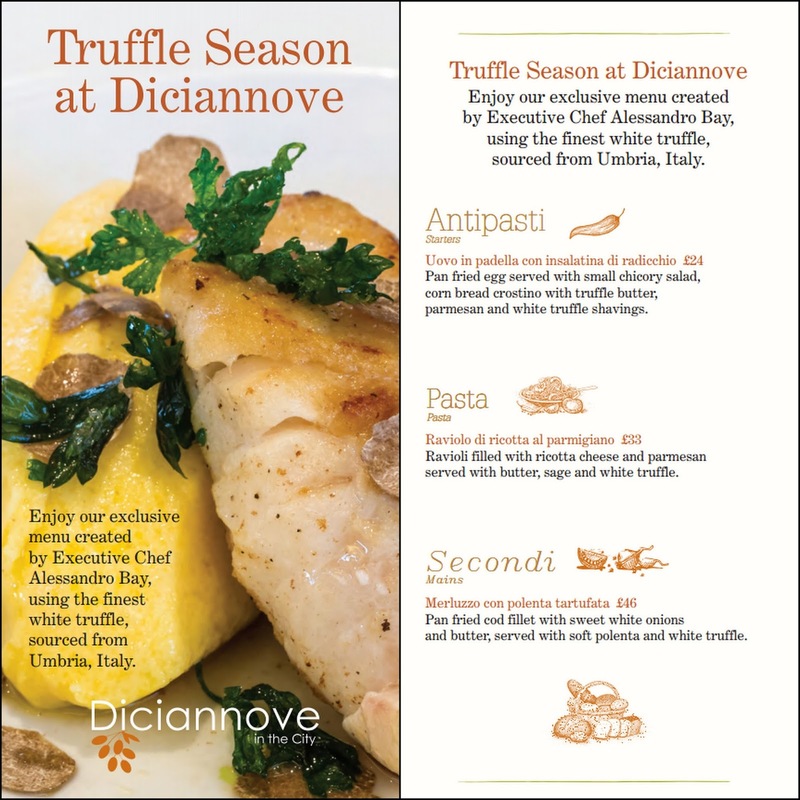 Truffles have popped up on menus all over the place, but if you want to go full truffle then head to Diciannove in the Crowne Plaza Hotel in Blackfriars to munch through the special menu created by Alessandro Bay whilst it is still available. Roughly 5g of the finest white truffles from Umbria are shaved on to each plate, starting with an interesting scrambled egg creation that is much more successful than it should be - Pan Fried egg served with small chicory salad, corn bread crostino with truffle butter, parmesan and white truffle shavings for £24. Follow this up with a classic that I could eat all day - Ravioli filled with ricotta cheese and parmesan served with butter sage and white truffle for £33. Mele e Pere in Soho serve a similar dish using gnocchi & Umbrian black truffles that has stayed in my thoughts for nearly 8 months now. If you aren't truffled out, finish off with Pan fried cod fillet with sweet white onions and butter, served with soft polenta and white truffle for £46. You can pick and choose items from the truffle menu alongside a la carte dishes, probably advisable if you are on a budget as luxury comes at a price! There's no truffle-based dessert, but you can't go wrong with their Tiramisu, or the attractive Zabaione. 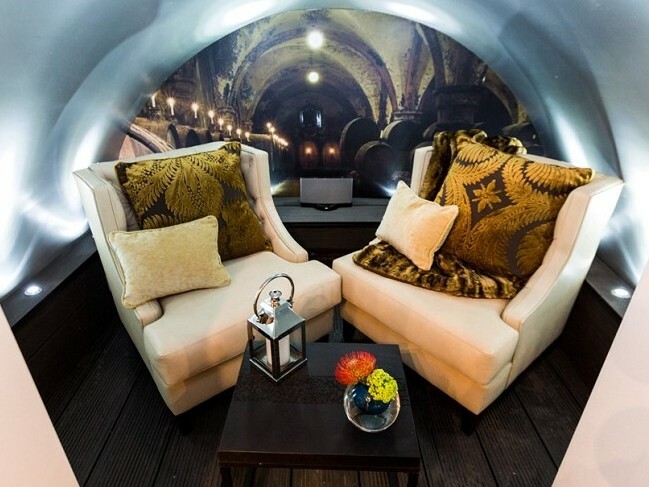 After dinner, we quickly popped downstairs to have a look at the attractive outdoor Cigar Terrace at the Volatire Champagne Bar, and the cosy Vaults of Voltaire hideaways which can be privately booked and are individually heated. Each unique space has its own name - I particularly like the look of The Aphorist which is only big enough for two people.